(1) jaw crusher part of the work is two jaw plate, one fixed jaw plate, vertical (or the top slightly inclined) fixed on the front wall of the body, the other is the movable jaw plate, the location of tilt, and fixed jaw The plate is formed on the upper and lower crushing chamber. Movable jaw plate facing the fixed jaw to do cyclical reciprocating motion, sometimes separated, sometimes close. When the material is separated, the material enters the crushing chamber and the finished product is discharged from the lower part. When it is near, the material between the two jaws is crushed by crushing, bending and splitting. (2) Cone crusher: The broken parts are composed of two almost concentric cones – fixed outer cone and movable inner cone. The inner cone is eccentric with a certain eccentric radius around the outer cone centerline, and the rock is crushed by crushing and breaking between the two cones. 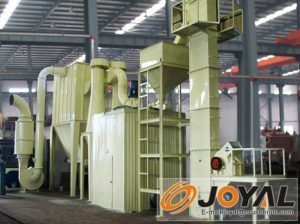 (3) roller crusher: the two rollers were rotating, the ore from the upper part of the infusion is formed between the two rollers in the gap, the metal mine due to the use of smooth roller surface, so the main role is to rely on Crushed, and with some grinding effect, broken material by gravity after their own discharge. This crusher is characterized by the material through the middle of the two rollers, only the pressure once, so the phenomenon of grinding less. (4) Hammer crusher and counterattack crusher: the use of high-speed rotation of the machine on the impact of the hammer and the ore itself to high-speed fixed to the liner on the impact of the ore broken. (5) The mill is made up of a cylinder, two main bearings and a set of transmission devices. The grinding of the ore is mainly due to the impact of the crushing medium when the impact and movement of the stripping effect. According to the different broken media, the mill is divided into ball mill, rod mill, gravel mill and self-grinding machine.